Today I’m really delighted to be able to bring you two interviews from some incredible people who are working to their own vision for creating unique British wool that speaks of where it has come from and the special relationships with farmer and mill to create those yarns. 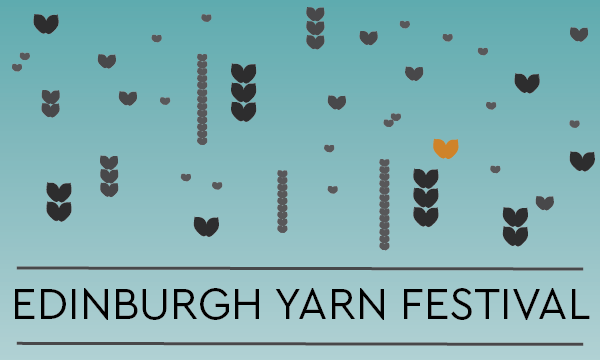 Edinburgh Yarn Festival is the UK’s premier urban knitting event and is running from 9-12th March. With workshops from world class tutors such as Bristol Ivy, Nancy Marchant, Woolly Wormhead and Felix Ford; with a yarn-packed market place full of hand-picked vendors ; with meet ups, demos and the Blacker Yarns Podcast Lounge – the Edinburgh Yarn Festival is a truly a haven and an important date on every yarn-lovers calendar. 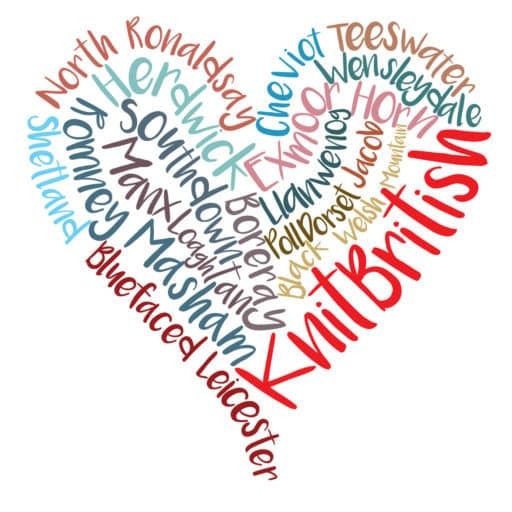 The power and value of knitting is never lost here at KnitBritish. How glorious is the sea of pink hats at the Women’s Marches and how glorious that knitting plays its part in asserting our rights. Crafting as a political act is not a new concept but I feel that the pussyhat is going to be an incredibly strong icon for generations to come. More power to our needles and all the positive changes it can bring. 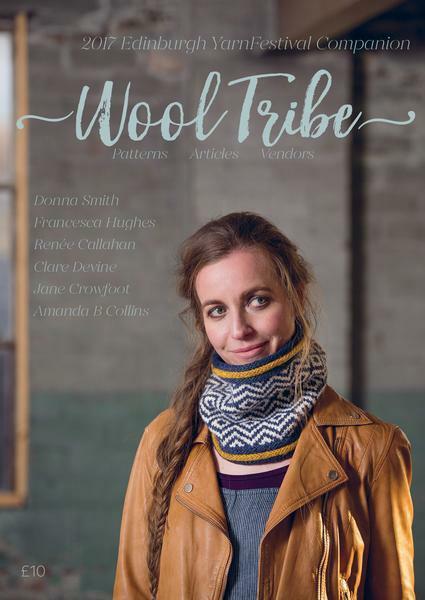 The new issue of Wool Tribe is out now! This year’s edition features 6 exclusive accessory patterns by designers Francesca Hughes, Clare Devine, Amanda Collins, Jane Crowfoot and Donna Smith. There are also articles by Jo and Mica and the all important floor plan and exhibitor list for Edinburgh Yarn Festival 2017. Wool Tribe costs £10 and is available now! I’m bringing you two interviews today which I’ve been looking forward to bringing you for a while. 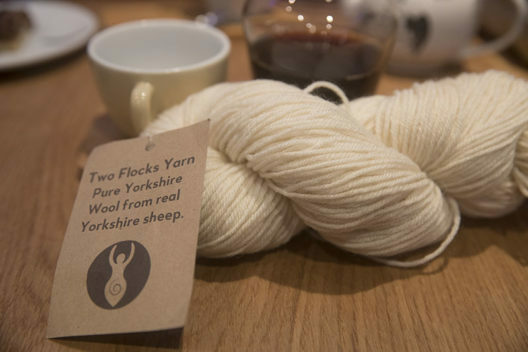 They are both from people who have been working with local farmers and mills to create the kind of yarn that is unique in the blend; speak of where the wool has come from and of the kinds of special wool yarns that are so sought after by knitters. 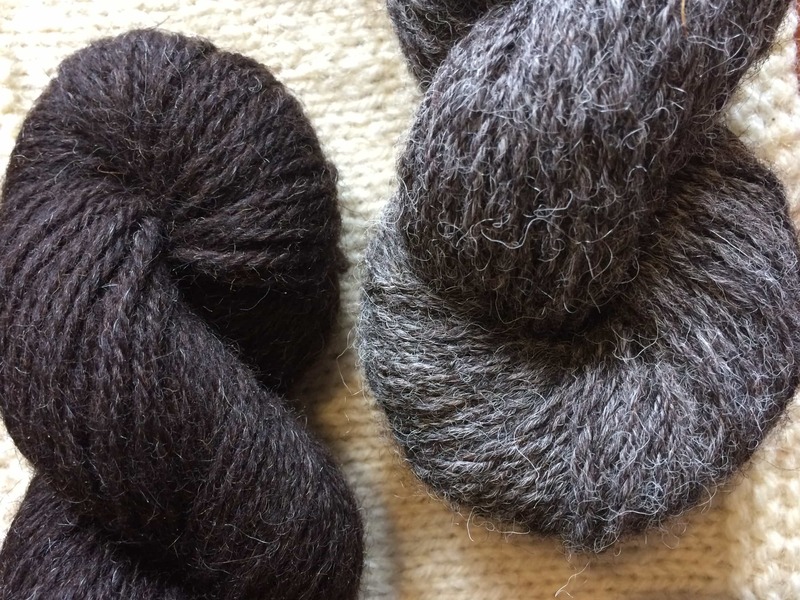 With a background in Forestry and a real passion for craft, Julie started Black Isle Yarns last year after seeking a way to connect craft back to the land and also through her own wish to dye with different British breed wools. Sourcing fleeces from around her in the Highlands and having them spun, under the care of John and Juliet at the Border Mill, Julie has created several single breed and unique blend yarns which tick all the boxes for local wool, which speaks of the great textures of British fleeces and of where they have come from. I wanted to ask Julie a little bit about starting the business. Her Autumn 2016 is almost all but sold, with only some of her bouncy single breed Zwartbles yarn, Zwartbles and Alpaca and naturally dyed Gotland left (the sheep that really started the journey). But she is not resting on her laurels; Julie has been sourcing lots more fleece for the next custom spin in March and there will be some new breeds in the mix. 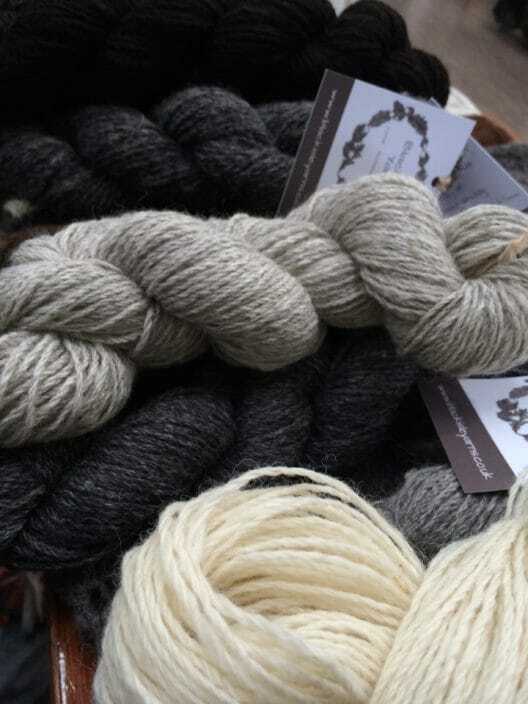 Julie will be vending at at Dornoch Wool Fest (17-19 March); and Highland Wool Fest (27th May) and do sign up to her newsletter at www.blackisleyarns.co.uk so that you can be kept up to date when these special yarns go on sale. 40 kilos of fleece later Joy had half of the fibre for her Two Flocks yarn, which is 50% Dorset and 50% BFL, which comes from Rigmoor Reindeer. 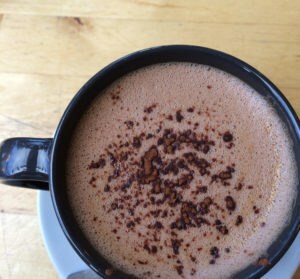 Both farms are within 20 minutes drive from Joy. 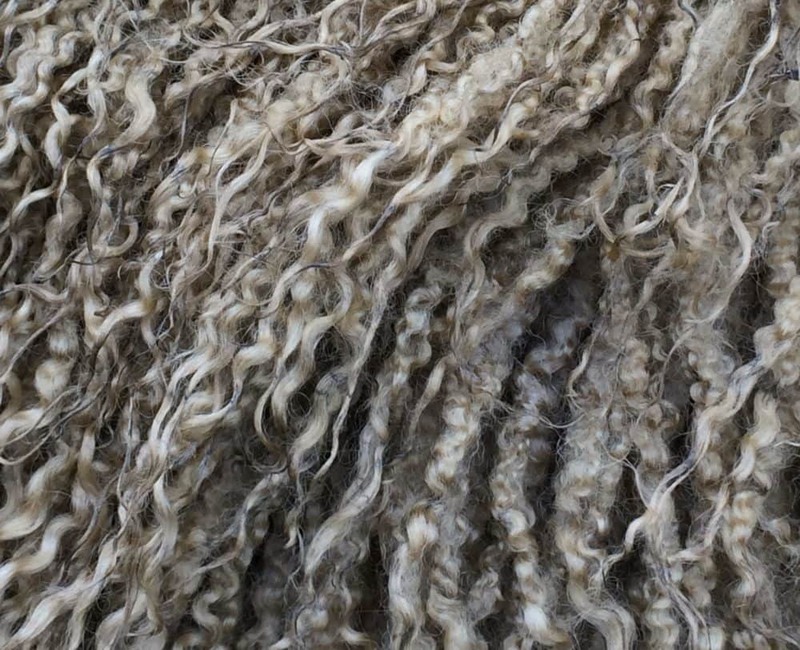 Not only is the story of this wool inspiring because Joy and Bobbie had a very specific vision for a special blended British yarn, but the Dorset has an incredible story behind it too. The Fourways Dorset Flock was established by Claire’s dad, David, 30 years ago. When David died in 2015 Claire decided that she would carry on his work and keep the flock going. She freely admits that she hadn’t always had a great deal of interaction with the flock, but to look at her now – and to hear her – she sounds utterly born to it. It was through her dismay at the low cost the fleece reached at auction, that Claire started to look at different ways to sell the fleece and got in touch with Joy…and that was that! Four inspiring women on the podcast today, I am sure you will agree. Thanks to them for their stories and for giving their time so generously. 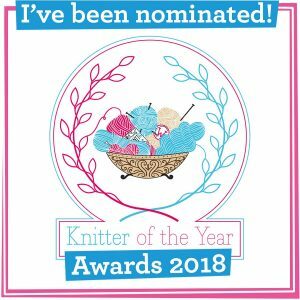 I will be back next week with a review and giveaway of Julie’s Zwartbles/Cheviot blend and there is also news of the KnitBritish Woolly Muckers launch so do come back next Friday! Music: Carefree by Kevin McLeod and Singin’ in The Rain (demo) by David Mumford – Both are on FreeMusicArchive and are both shared under Creative Commons Attribution license. Images are copyright to those attributed, otherwise they are mine, except EYF images which belong to them. The interview with Joy, Bobbie and Claire was recorded in October and first appeared on Wovember in November 2016. Yes! So happy to see that! I can assure you that every knitter in the USA is not proud of the Pink Hat knitters and the Women’s Marchers. It is actually appalling to think of these women that are involved instead of uniting with their country and it’s leadership. Do not judge and make generalizations unless you live here and walk in our shoes. The average American has long been forgotten and replaced with celebrity views and elite status importance only. Well, the average American is back – not Pink hat wearers! This is a transcript of what I said, as I think you possibly didn’t listen well enough…. I made NO generalisations here or any judgements on how YOU voted, but you are wrong….I do get to have an opinion. I very much DO get to have an opinion on what your Celebrity president is doing to the world. I don’t make any mention of this on my podcast, instead I choose to focus on the positive. However, this is *my* podcast and I get to choose the content and my opinions expressed on that. You can choose not to listen. ‘Uniting with their country and its leadership’. You mean uniting to support a self-serving, racist, sexist individual who incites hatred towards minorities? My mother, born in Germany in 1926, came of age in a country with that character of leadership. And we know how that turned out. Everyone, regardless of nationality or residency is entitled to an opinion on the US leadership: your leadership affects more than your domestic concerns. I loved listening to this episode so much. The interviews are fantastic. A bit of synchronicity for me…I’ve been missing my dad a bit extra lately, so it was so lovely to hear Claire talk about her dad. Hugs to you. My Dad will be gone 11 years this year. What a fantastic episode, I thoroughly enjoyed both the interviews. Claire talking about her dad struck a chord with me too, it would have been my dad’s birthday last week and we lost him 8 years ago. Thanks Louise – this podcast got me through a difficult patch this afternoon. It has been a week or so of huge personal ups and downs, but ups have included finding knitting podcasts, and Blacker yarns. I had no idea that there was such a movement towards British wool.